This work was commissioned for Super Field, a group exhibition consisting of 19 artists from across who contributed sound and video works responding to the theme of field work in remote locations. Curated by Philip Samartzis and Madelynne Cornish at the BCSC and designed by architects Baracco + Write, this exhibition has been specifically designed for the RMIT Design Hub. 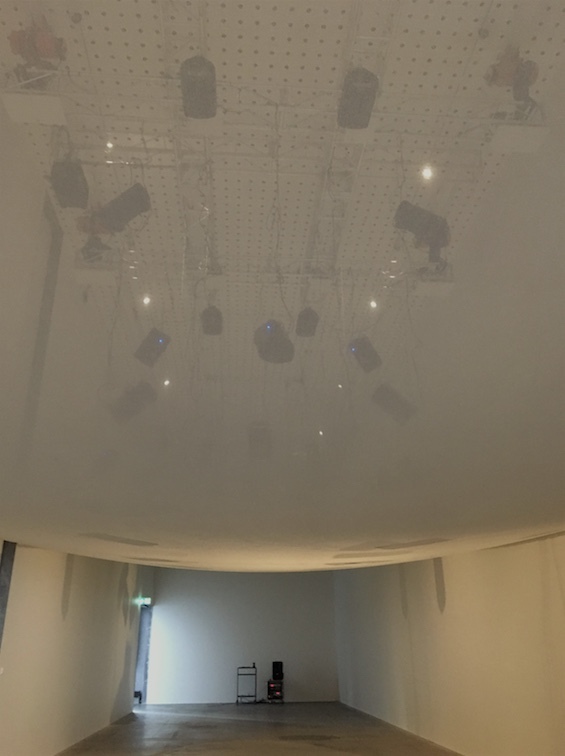 The technical setup consists 42 speakers suspended from the ceiling and embedded in the walls and floor to create the potential for multiple sound fields within the space and a highly immersive listening experience. For this show I contributed a work consisting of sound recordings of Ulleungdo Island, South Korea. The composition is split into 4-sections that consider various dimensions of the island's fishing industry and unique topography.